A recent study by Consumer Reports, found that customers do in fact care about where their products are made. When these customers are given a choice to pick where they want their products from most of the time they chose from the United States rather than abroad. 60% of many different customers prefer to buy from within the United States and this is usually because of the quality of the products. Also some of these customer say they prefer to pay more money for what they buy then to get them shipped in from abroad, but this is just a few, others unfortunately because of the pricing usually get it shipped in. But something not every American knows is that if every American spent and extra $3.33 on U.S-made products it would create over 10,000 new job opportunities. Also something that is critical is that countries that are ship their materials overseas to the U.S are adding tolls on petroleum usage and increasing unnecessary emission in the atmosphere. This also has to do with the environment, in other Countries the regulation to protect the environment is not enforced as much as here in the United States, this is where pollution in earth takes a huge part of. This guidelines do not exist in other countries which is causing pollution and environmental abuse on earth. When consumers buy American-made products the proceeds remain in the U.S economy. The money spent than pays the workers who directly or indirectly created the products purchased. 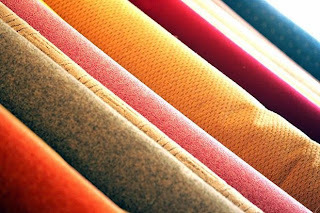 Carpet: 45% is made in the United States and 55% is imported from other countries. We would like to increase the percentages of carpets made in the United States so we could have more people working in the U.S.
Energy savings tips for summer.